In the fall of 1825, John Henry Hopkins traveled from New York's Buffalo to Albany on the Erie Canal. It was just days after the 363-mile waterway had opened. 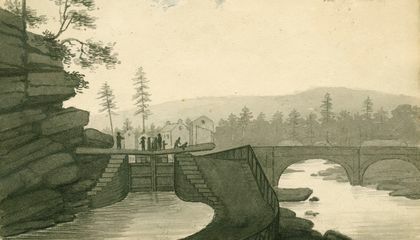 Along the way, the Episcopal minister from Pennsylvania drew scenes of what was considered a marvel of modern engineering. This month, the co-founder of a Vermont history museum, Arthur Cohn, is traveling by tugboat on the canal. The tug will stop at about 30 communities as he discusses the waterway's impact on the nation's growth in the 19th century. He will also hand out prints of Hopkins' artwork. Many of them never have been published. They rarely have been seen by the public. "He left us an incredible series of images of the communities, of the canal, that fill in a tremendous amount of information," Cohn said in a telephone interview. He spoke from aboard the C.L. Churchill. It is a 52-year-old wooden tugboat. The boat is owned by the Lake Champlain Maritime Museum in Vergennes. Cohn and his fellow crewmembers will visit communities along the canal as far west as Rochester. They will give talks about the waterway and present copies of Hopkins' artwork to museums and historical societies. The voyage is aimed at bringing attention to next year's 200th anniversary of the beginning of construction of the Erie Canal. Events are planned each year through 2025. This is according to Canal Corp. spokesman Shane Mahar. The waterway was officially opened in October 1825 by Gov. DeWitt Clinton. He traveled on the canal by boat from Buffalo to Albany, then on to Manhattan. Once there, he dumped a cask of Lake Erie water into New York Harbor. It signified the "wedding of the waters" linking the Great Lakes to the East Coast. Around that time, the Irish-born Hopkins, a 32-year-old newly ordained clergyman from Pittsburgh, began his own voyage. He went by canal boat from Buffalo to Albany. He was headed for Manhattan to attend a religious conference. A talented artist and architectural illustrator, Hopkins created 37 watercolor and pencil sketches of canal scenes. They include a rendition of the Genesee River falls at Rochester and the elevated towpath built over the Cayuga swamp in central New York. The 1,300-foot-long timber structure was replaced by an aqueduct in the 1840s. He came across the Hopkins collection last year. He was doing research at William L. Clements Library at the University of Michigan. It is in Ann Arbor. One Erie Canal expert said he was "blown away" when Cohn showed him prints of the Hopkins drawings. They are considered some of the earliest images of the waterway. They were drawn before the invention of photography in the late 1830s. 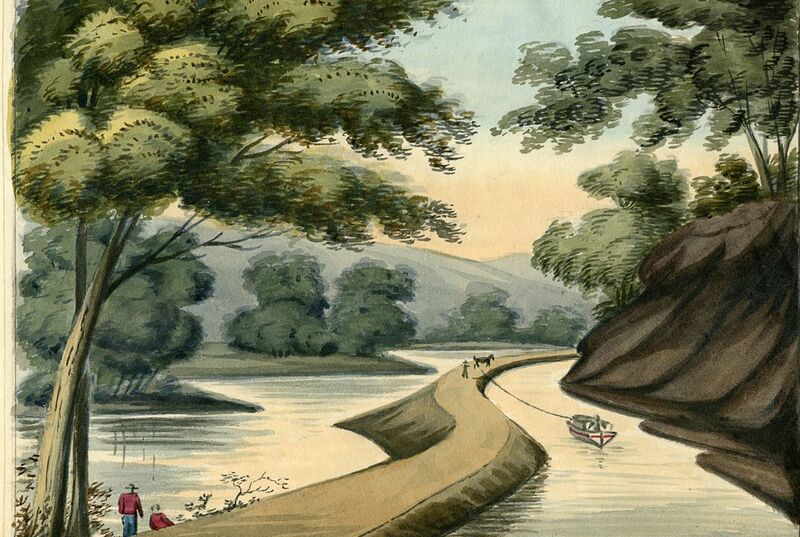 "We don't have a lot of images of the very first version of the Erie Canal," said Duncan Hay. He is historian for the Erie Canalway National Heritage Corridor. "Finding drawings tucked away in a manuscript collection in another part of the country is pretty exciting." People haven't seen these pictures because they are so old and hard to find. The picture on the top left is a very nice art piece. I like original artists, but i feel like i'd be more interested in this mans work. This almost looks like a real painting. My sister drew a self portrait and it looks like a picture of her.